Streetrod 3000 PSI 2.3 GPM Gas Pressure Washer with Briggs 950 Engine and Annovi Reverberi Axial Pump Powerplay Power Washers for Today's Dirt Warriors muscle car looks. Refined precision engineering. 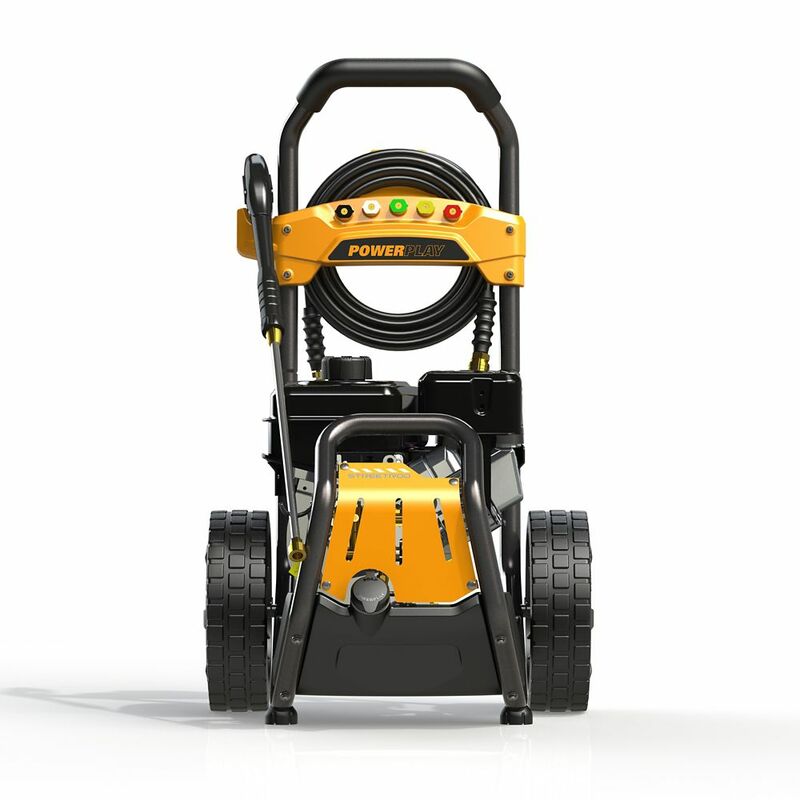 A perfect synergy of performance and style, our pressure washers deliver the power you need to tackle any residential and commercial cleaning job. PowerPlay pressure washers are built using best-in-class components that can withstand rugged use from any dirty job you throw its way. Putting the muscle behind the name is the proven strength of engines from Honda or Briggs & Stratton, and pumps from Annovi-Reverberi. An innovative motorsports-inspired chassis design gives these machines a Detroit muscle car cool factor. Engineered for comfort and stability thanks to our anti-vibration system (PAVS), the ergonomic design includes a premium welded roll cage frame and oversized wheels for great maneuverability. PowerPlay machines can handle any cleaning job from siding and windows to stripping paint or power washing vehicles. Our machines are built to outperform and outlast the competition. Streetrod 3000 PSI 2.3 GPM Gas Pressure Washer with Briggs 950 Engine and Annovi Reverberi Axial Pump is rated 2.0 out of 5 by 1.